Most people can only claim to have known one truly great love in their life. In the same way, it is likely that you will remember having had no more than one inspirational teacher while at school, and one helpful mentor in your later professional life. And most readers can remember one novel or non-fictional book that changed their life. The same holds true if you have been lucky enough to have found a spiritual mentor (a guru) in the short span of your life. One literary work that inspired me was the novel by Chilean writer, Isabel Allende The House of the Spirits. I have always been drawn, from as far back as I can remember, to the numinous, especially in relation to psychology and philosophy. For want of a better term, the Jungian concept of the psyche and related matters have forever interested me. One of the first non-fiction books—yes, there were two of them!—that changed my life was The Tibetan Book of Living and Dying, containing events that were never discussed in the country milieu from which I sprang. Here they were written about as if normal occurrences in this other culture; there was the monk deciding it was his time to die, then returning to life for a short while to communicate something to his young disciple. 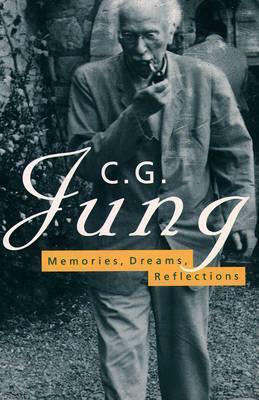 The other book was Carl Gustav Jung’s autobiography Memories, Dreams, Reflections, first published in English in 1963, which I am re-reading at the moment. It wasn’t until my late thirties that I read this book; today its pages are yellowing to show its age. But I found it, or it found me, at a significant time spiritually. In this work, Jung writes of the influences on his life as a child, growing up in the country in Switzerland, and then later on during studies at university and work in Zurich as a psychiatrist. On reading this book, I had the sense of meeting someone with the same interests and life questions as myself, almost like finding a “soul mate”. But he was also a mentor, because he had delved deeply into these areas of shared interest, and produced a large body of work within his chosen field, which became known as the field of Analytical Psychology. As a young boy Jung could find no one he was able to confide in about his ideas and experiences in nature and within the psyche, both of which enthralled him. His father was a pastor in the Swiss Reformed Church, and the chances of his being a sympathetic confidant for his son were nil. The abyss between their philosophical thinking was huge and irreconcilable. So the younger Jung remained a carrier of huge secrets, and saw in himself two personalities that he named Number 1 and Number 2. Number 1 was his scientific and social side, that enabled him to become an admired professional of high standing; Number 2 was the humanist, who was interested in diverse subjects, including comparative religions, psychic phenomena, literature, the paranormal and alchemy. Though Jung initially followed Freud’s theory of the Unconscious, as the psychic base formed by repressed desires, linked especially to sexuality, he later developed his own theory on the Unconscious to include the new concept of the archetypes. Although Jung admired Freud and stated that he was “standing on the shoulders of giants”, (another being Adler), he had to break away from his metaphorical father, in order to define his own psychological path. Isabel Allende's House of the Spiritsmemories dreams reflections by JungThe tibetan book of living and dyingwhat are jungian archetypes?what is analytical psychology?what is the Unconscious? 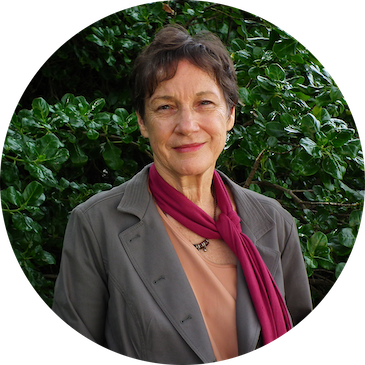 How wonderful to discover such a Mentor in your life, whose views so closely coincide with your own. I also have a great respect for Jung, yet am more drawn to the Father of psychoanalysis, Sigmund Freud. His mapping of the human unconscious (ucs) has been the inspiration for countless works of literature, art, and music throughout the twentieth century. To me there is no conflict between the theories of Jung and Freud. Both aim to relieve human suffering through bringing to light the deep secrets buried in our unconscious. So true. I have included Freudian references at times in my memoir writings. When I found Jung, I knew henceforth that it was alright to hold the beliefs I’d held, secretly, for decades, within a world dominated by science and technology. It’s not just a case of Freud versus Jung; right versus wrong; good versus bad. That perspective is part of our “duality” based world. Both brilliant psychologists belong to a progression within a very new (young) Psychology movement: from metaphorical father to son. The Austrian psycho-analyst, Adler, also added something to Freud’s discoveries: the importance of empowerment for the patient suffering from low self-esteem. Then came the much younger, Carl Jung, who researched the “god archetype”, in order to assist his patients, many of whom were suffering from a sense of nihilism. And people forget that, not so long ago, even Einstein, a true scientist, believed in God. But there’s a huge difference today between an old-fashioned belief in a personal God and a knowingness that some form of universal energy exists that unites everyone and everything in the world.